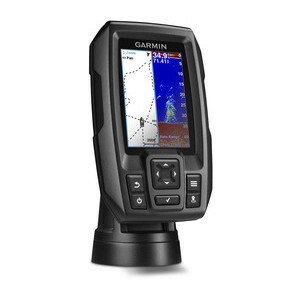 The Garmin STRIKER 4 is a Fishfinder and also features GPS technology. The screen size is 3.5-inch with keypad control. There is an included Transducer and Sonar. The included traditional transducer provides you with a view below your boat. Traditional sonar is best for finding fish below you boat. However if you want to identify structures below your boat (rocks, wrecks, etc.) then we recommend buying a Fishfinder with DownVu or SideVu instead. Garmin STRIKER 4 has been discontinued. The replacement model is the Garmin STRIKER Plus 4cv. View accessories for the Garmin STRIKER 4. 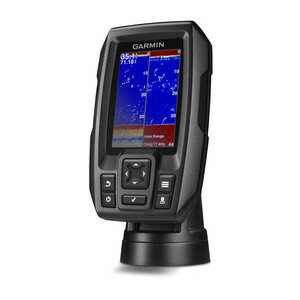 The Garmin STRIKER 4 is a fishfinder with GPS technology and CHIRP Sonar. The screen on the STRIKER 4 is 3.5-inch colour display. With the in-built GPS technology you can mark hotspots such as good fishing locations, docks or ramps. You can then easily navigate back to these stored locations. If you have a echoMAP charplotter too you can share waypoints and routes between your STRIKER and a Garmin echoMAP system. You are also able to view the speed of your boat or yacht on the display. Please note: Although the Garmin STRIKER has GPS technology it is not a chartplotter. Wit h the STRIKER 4 you will get CHIRP Traditional Sonar, Sonar History Rewind, Waypoint Map, Boat Speed Display and Built-in Flasher. 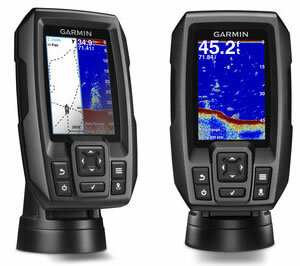 The STRIKER 4 includes a Garmin CHIRP (77/200kHz) Sonar Transducer with transmit power of 200W RMS/1,600 peak-to-peak. If you would like to purchase a Garmin STRIKER with a larger screen size then there is a 5-inch (STRIKER 5cv) and 7-inch (STRIKER 7cv) model available too. 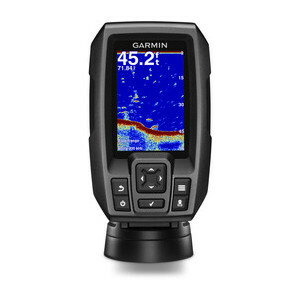 Smooth scaling software technology for depth range adjustments is also provided with the Garmin STRIKER 4. 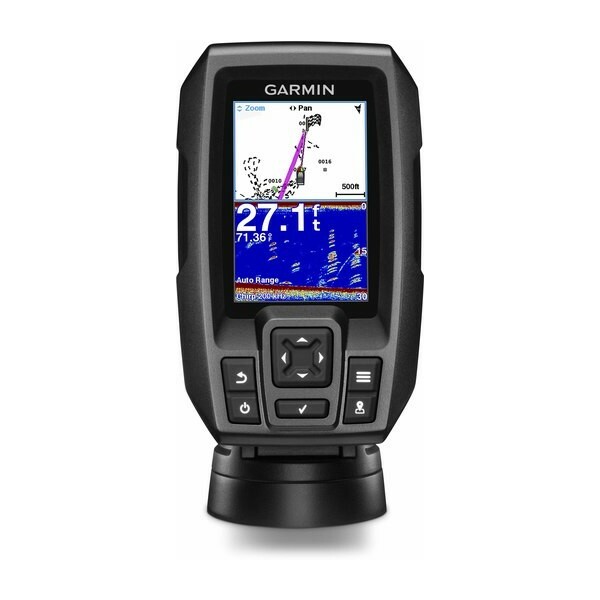 The Garmin STRIKER 4 includes a tilt mount for mounting on your boat or yacht. 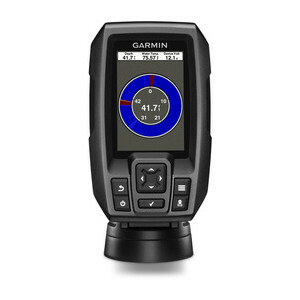 The Garmin Dual-beam Transducer included is for use on a boat whereby the boat should be an outboard powered vessel. Looking for Garmin STRIKER 4 accessories? Accessories available to purchase include protective cover, tilt and swivel mount and flush mount kit. If you'd like to add a transducer to your STRIKER 4 please see Garmin transducer page.